Customers get rude or crazy mad for a variety of reasons—some justified, some not. However, since service crews are tasked to attend to the needs of their customers, they would likely encounter one or more during their shift. Some service crew members can handle such rudeness but this kind of behavior isn’t justified at all. Recently, a story about a service crew member from a certain fast-food restaurant went viral on Facebook. 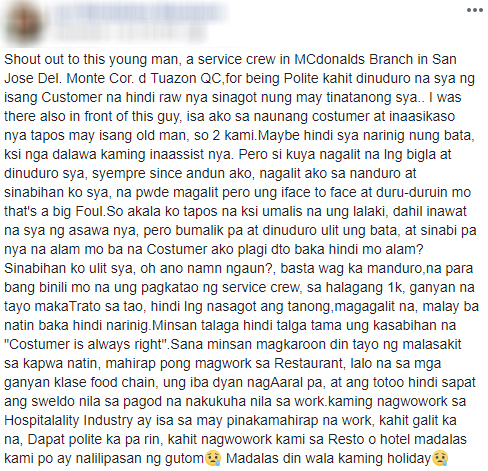 Based on the narrative from Lyn Montallana Macatuno, she reported how the particular young man received a humiliating tirade from a rude customer. 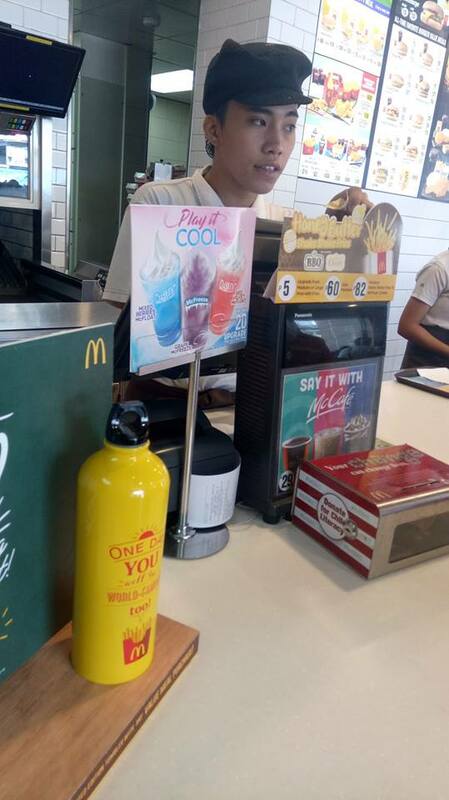 The intense situation happened at a McDonald’s Branch in San Jose Del. Monte, Quezon City. According to Lyn, the infuriated customer suddenly went ballistic because the service crew member failed to attend to their needs. However, Lyn said that the poor worker was talking to her and and another customer. Buts since she was there, Lyn immediately asked the fuming man to simmer down. She also reminded the person to stop that kind of behavior towards other people. In the end, Lyn revealed that she also works in the same industry. So having said that, the concerned netizen told her own experience in dealing with this kind of people. She also revealed their struggles.